ONE of the largest beef and cropping aggregations in NSW will be put to the market this month under an expressions of interest process, after failing to secure a buyer in earlier off-market activity. Ceres Agriculture is an integrated cropping, cattle backgrounding and finishing business turning off around 100,000 MSA-graded cattle and 40,000 tonnes of grain each year. If a sale is transacted anywhere near the suggested asking price of $200 million, it would make it one of the largest rural property transactions ever in NSW. Appointed to market the assets under an expressions of interest process concluding October 31 are CBRE Agribusiness directors Richard Royle and Col Medway. Ceres Ag operates 15 properties totalling 33,000ha of highly productive, high-value grazing and cropping country throughout the Central Tablelands and Northwest slopes. The holdings include Mayfield and Ballyroe at Oberon; Gunyerwarildi, Postmans, Brentwood, Lava Downs and Inverness near Warialda; and Brudle Park and Oaklands at Moree. The grazing component of the diversified operations concentrates on buying young cattle and growing out/backgrounding to feedlot entry weights, or paddock-supplemented to domestic slaughter requirements. Cattle are turned off at +500kg liveweight and sold under contracts to supermarket supply chains and processors. Beef Central profiled the Ceres Ag operations in this 2015 article. Current cattle capacity is around 30,000 head of young cattle at one time with an annual turnoff capacity above 140,000 possible with further development. 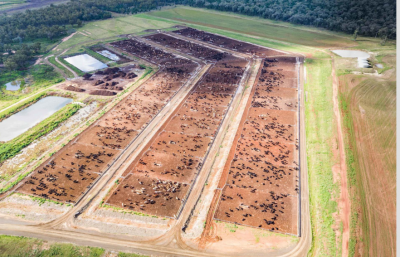 The cattle on the aggregation are accommodated in the licensed 7000 SCU feedlot, which has approval for an expansion to 20,000 SCU), with the remainder finished in paddocks under a grain/grass fed system. The dryland cropping ranges from flat Moree plains to rolling hillside at Croppa Creek/Warialda. In total there is about 18,000ha of controlled traffic minimum-till cropping producing premium grade barley, bread wheat, durum wheat, sorghum, corn and chick peas. Ceres Ag’s Gunyerwarildi aggregation is an integrated beef finishing and cropping platform comprising four properties totalling almost 17,000ha. The aggregation is located between North Star and Warialda within the famed Golden Triangle area north-east of Moree. The aggregation is operated as a high-end beef fattening platform, finishing cattle on a free-range basis under the business’s Grain Assist production system. 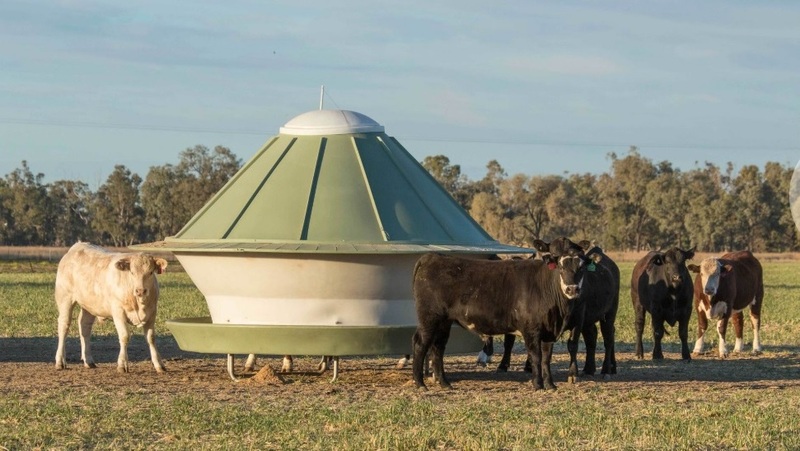 The Grain Assist finishing system sees grain produced on-farm value-added as a cost-effective feedstuff for cattle and complimented by access to pastures. Livestock are purchased from third-party suppliers and fed under the Grain Assist production system for 70 to 110 days. Ceres Ag has long-term supply agreements with several processors including Woolworths (Tamworth and Brisbane), Bindaree (Inverell), Manildra (Casino) and JBS (Scone and Dinmore). The aggregation’s ability to provide quality and consistency to suppliers has forged secure, long-term relationships. The company’s feedlot has a current capacity of 5000 head including 51 pens, each with an area of 1500sq m (15sq m per beast). Pens are constructed of steel post and high-tensile cable, with pre-formed concrete bunks and aprons. Water for the feedlot is secured from numerous sources and pumped to a 1.3 ml storage with triple redundancy providing high-quality, reliable drinking water. A state-of-the-art steam flaking mill capable of processing 175,000 tonnes of ration annually processes grain for the feedlot’s use. The $6.5 million feedmill incorporates two ‘cooled’ steam flaking units, believed to be the only ones of their type in Australia. Grain is tempered for up to 18 hours and then steamed for 30 minutes before being rolled into flake and then cooled to ambient temperature. Ceres’s Brudle Park cropping aggregation north of Moree spans three landholdings totalling 9300ha of which 92pc is arable. The aggregation comprises Oaklands, 7121ha; Braden, 1079ha; and Yileena, 1126ha, all within close proximity of each other. The Ceres business operates its own fleet of modern livestock and bulk trucks, ensuring prompt delivery of cattle to processors and customers. Aside from the obvious savings the main benefits are maximised weightgains and minimal stress to livestock. The vast majority of bulk commodities are also transported using the company’s fleet. As outlined in this earlier Beef Central article, interest emerged in trying to sell the Ceres assets in an off-market process around June last year. CBRE’s Col Medway said the Ceres business had outstanding infrastructure, quality plant and machinery, technology, a long-standing management team and support team of mechanics and maintenance staff. Significant investment had been undertaken in grain storage, paddock development, reticulated water troughs (972ML water license), fencing, cattle yards, storage facilities, administration and accommodation, access laneways and all-weather roads. “Ceres has been seeking to find a buyer for its northern NSW assets through an off-market process,” Mr Medway said. “Our mandate is to now bring the sale process to a close,” he said. The assets will be advertised on the open-market via an International Expression of Interest campaign closing Wednesday 31 October. To date, inspections have been conducted by a wide variety of buyers including Australian and International corporates, Australian family offices, private capital advisors, private equity managers, cropping businesses and beef industry participants. “The quality and diversity of the buyer’s inspecting the business has been exceptional given the widespread drought in NSW and QLD,” Mr Medway said. The Ceres aggregation is for sale in one line. 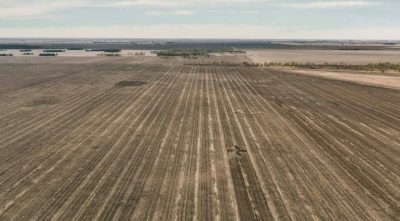 Agricultural Company was developed by Managing Director, Mark Mason, and Sydney-based businessman, Garrick Hawkins, who have spent the past 18 years creating a large-scale integrated dryland cropping, beef finishing and wool growing business. The company was formed in 2012 from the existing assets of Pegela Pastoral Holdings and capital from Singapore-based funds manager, Duxton Asset Management. At the time, Pegela comprised Mayfield and Ballyroe at Oberon; Gunyerwarildi, Postmans, Brentwood, Lava Downs and Inverness at Warialda; and Brudle Park and Oaklands at Moree. 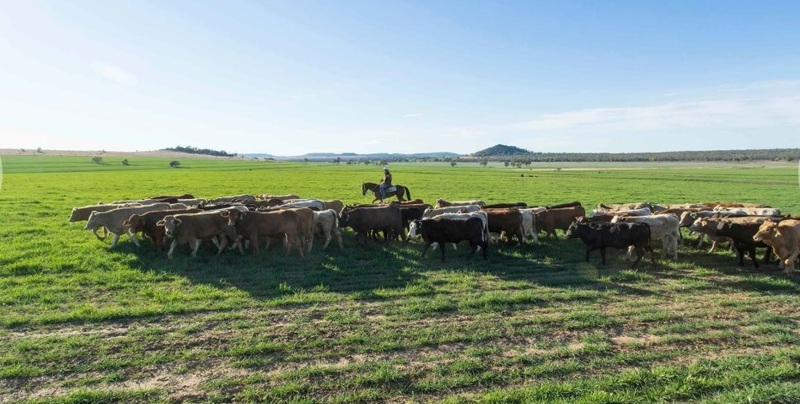 About 17 years ago, the predecessor company was running a fairly traditional grazing enterprise based at Oberon supplying backgrounded cattle to Rockdale feedlot. In 2000, it expanded into cropping and grazing in northern NSW but the operations remained fairly separate. In some years, it was struggling to get cattle to background weights and in others, it was growing good crops, but getting poor returns. “We decided to integrate the businesses into one and to maximise our value-add from start to finish,” Mark Mason said. Duxton Asset Management specialises in creating large, integrated agricultural units capable of achieving high levels of operational efficiency via the use of technology, best management practices and environmental sustainability. Ceres Agriculture today employs more than 100 people across its northern and southern operations. “It was never about the size of what it’s become but the genuine passion to do something that has not been done on this scale before,” Mark Mason told Beef Central in an earlier article. Good luck gina in keeping australian property in australian hands.